Ping An, the Chinese insurance giant that built the eTradeConnect blockchain, is modifying the platform to give its 12 participating banks more control over customer relationships. Frank Lu, head of the blockchain division of OneConnect, PingAn’s fintech arm, and the architect of eTradeConnect, told CoinDesk his team is revising the way businesses submit their data for trade financing from the network. Instead of going to a central portal, they will have to sign up through individual banks. 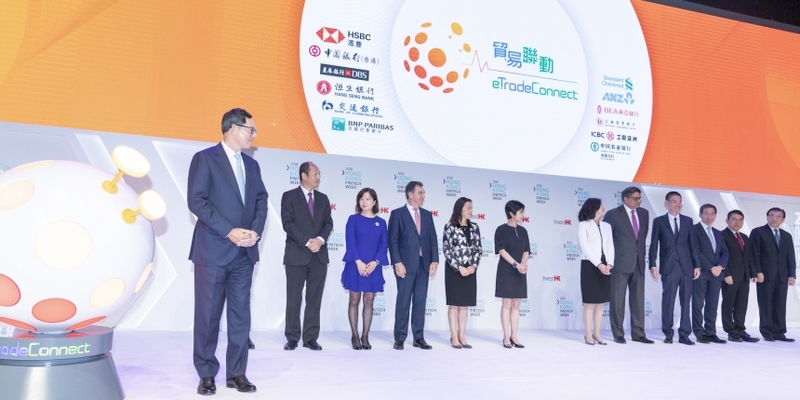 First revealed in 2017 as a proof-of-concept by the Hong Kong Monetary Authority (HKMA), and formally launched in October 2018, eTradeConnect aims to bring efficiency to the trade finance market in Hong Kong for small and mid-size enterprises (SMEs) while preventing fraud. Major banks that participate in the blockchain network include HSBC, Standard Chartered, BNP Paribas in Hong Kong, Bank of East Asia, and the Hong Kong branches of all four state-owned commercial banks in China. The idea is to let one participating bank verify a customer’s credentials based on transaction history and status of purchase orders so that the SME can borrow money, pledging future payments as collateral. By putting this data on a distributed network, the project is expected to make it easier for a customer to obtain further financing, but at the same time prevent them from borrowing a total amount from multiple banks that exceeds their credit lines. Currently, SMEs register for the service through a portal run by Hong Kong Interbank Clearing Limited (HKICL), a subsidiary of the HKMA incorporated specifically for the initiative. Then they choose the bank they want to work with. But this approach will soon be revised, Lu said, in a bid to give banks more control of where corporates could choose to go. A spokesperson from the HKMA said in an email response that while the modification is still in the planning phase, the agency envisions bank customers eventually connecting to eTradeConnect through banks’ e-banking systems, open APIs or web user interfaces. Similar competitive concerns among banks are why Ping An built eTradeConnect using zero-knowledge proofs, a technology that allows someone to prove that they have knowledge of a secret without revealing the secret itself. After all, just as banks are naturally unwilling to let their customers go to the other side of the street, they are equally wary of disclosing their customers’ information to their competitors on a shared ledger. “No banks would want to entirely share the information. That’s also why there is always a lot of talks about blockchain, but very few in actual practice,” said Lu, who joined Ping An in July 2016 from IBM, where he was one of the creators of the Hyperledger Fabric blockchain. In fact, Lu claims that zero-knowledge proofs are the only way to make any blockchain trade platform to come to fruition. “My thinking and vision for enterprise blockchain wasn’t entirely clear when I was at IBM, but now I believe full encryption is the only way out for consortium blockchains,” he said. That’s because in Lu’s view the model balances the goals of using a distributed ledger to boost efficiency with letting banks maintain their business secrets. When a customer submits information to a bank, the bank has absolute control, Lu said, yet when that information is sent out for cross-checking, it’s all encrypted, and no other parties will be able to see the information inside. For instance, he explained, if a customer has a $10 million purchase order and goes to, say, Standard Chartered to borrow $5 million, the bank will verify the information and then grant the request. “In this case, the result will be ‘false’ because the total amount goes above the total collateral already,” Lu said, adding that’s all that HSBC needs to know. Yet because of the zero-proof knowledge algorithm, neither Ping An nor the banks will have a clear idea of the size or volume of transactions handled by others on the network. With eTradeConnect now launched and handling live transactions, another key question for the network is how many customers will opt in and how big these clients will be. To help create a network effect, earlier this month the HKMA announced a plan to link eTradeConnect with We.trade, the European trade finance blockchain built by IBM on Hyperledger Fabric that went live in July. Both Kroeker and Lu said the technical integration work is progressing steadily but declined to share more details on the timeline. However, technology may be the last thing Lu feels concerned about. Rather, to make full use of cross-border blockchain trade platforms, Lu said the key is to onboard clients with scale. However, Kroeker said HSBC is taking its time to make sure the technology and product can work smoothly before widely marketing the solution. He added that in the past several weeks, HSBC concluded two live transactions for Hong Kong clients – one for house-ware retailer Pricerite, the other with global manufacturer Mainetti. Ping An’s move into blockchain is also one example of how China’s largest insurer is making efforts to sell fintech services to overseas institutions. Established in the 1980s as one of the first institutions in China owned by both the private and public sectors, Ping An has grown into the world’s largest insurance company, according to Forbes’ 2018 Global 2000 list, followed by AXA and Allianz. As internet companies in China such as Alibaba and JD.com have moved into financial services with insurance and financing offerings, Ping An launched OneConnect, aiming to sell technology services, including blockchain infrastructure. A report from the Financial Times this year said the fintech subsidiary was even eyeing an initial public offering in Hong Kong to raise $2 billion.